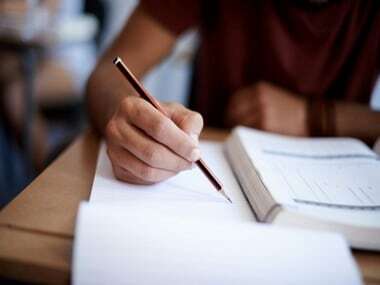 CBSE Board Examination 2019 | The 2019 Central Board of Secondary Education (CBSE) board examinations are underway for both Class 10 and Class 12, commencing on 21 and 15 February respectively. The timetables for the exams can be found on the official website cbse.nic.in. The timetables were released on 23 December, 2018. As per the official datesheet on the website, the CBSE Class 10 board exams began on 21 February, 2019, with the e-publishing and e-office examinations. They will conclude on 29 March with the social science paper. 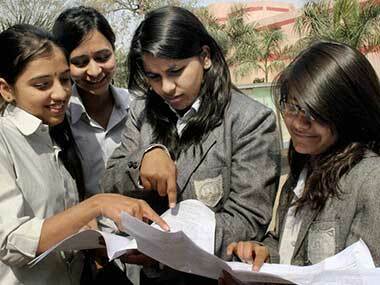 The CBSE Class 12 board exams began on 15 February with the Hindi Music Mel. Ins, Office Procedure and Practices, Olericulture, Garment Construction, and Textile Chemical Processing examinations. They will conclude on 4 April with the Philosophy, Entrepreneurship, Human Rights and Gender Studies, Theatre Studies, and Library and Information Science exams. The core subject exams for Class 12 will begin on Saturday, with the English core and English elective papers. — The duration of time for each paper has been indicated in the date-sheet. — Duration of time for each subject/paper as given on the question paper be followed meticulously. — Answer books would be distributed to candidates between 10.00 - 10.15 am. — Candidates should write their particulars on the answer book. — Particulars shall be checked and signed by Assistant Superintendent(s). — Question papers will be distributed at 10.15 am. — From 10.15 -10.30 am, candidates will be given time to read the question paper. — Candidates should plan a proper strategy to write the answers. — Candidates will begin writing at 10.30 am. — Practical examinations for private candidates (female and Patrachar Vidyalaya candidates appearing for the first time) will be held at the theory examination centres unless otherwise notified. — Private candidates should contact the Principal of the school of their theory examination centres to find out the date and time of the practical examination before the theory examination is over. — Private candidates should complete their practical examination before 5 April, 2019. — The results are likely to be declared by the first week of June 2019. — No enquiries about the actual date of result declaration will be allowed. — Practical examination for regular candidates in all subjects will be held at each school for their own candidates. — The principal of the school may fix up the date(s) for holding practical examination(s) in different subjects in consultation with the Examiner(s). — Candidates can be distributed in convenient batches according to the number of examinees and capacity of the laboratory. — Date and time for examination fixed in each batch be communicated to candidates concerned well in advance. — Practical examination for regular candidates should, however, be completed by 15 February, 2019. Ahead of the exams, the CBSE has advised students and parents to be aware of any rumours on social media ahead of board examinations and not panic. "It has been noticed in the past that certain unscrupulous elements spread rumours by posting fake videos and messages on YouTube, Facebook, Twitter and other social media platforms, obviously with the intention of spreading confusion and panic among students, parents, schools and public," the CBSE Controller said in a public notice. "Persons involved in such activities are warned and advised to restrain themselves from such activities. In case, any such information comes to the notice of the CBSE, immediate necessary actions will be taken as per law," the notice added. The CBSE has also appealed public in general to cooperate with it for the smooth conduct of exams by not participating in spreading of rumours and baseless information. The board exams would be conducted at 4,974 examination centres. The examinations are being held for 21,400 CBSE-affiliated schools within the country while 225 schools situated abroad. There are 78 centres abroad to conduct the examination, spread across 17 countries.